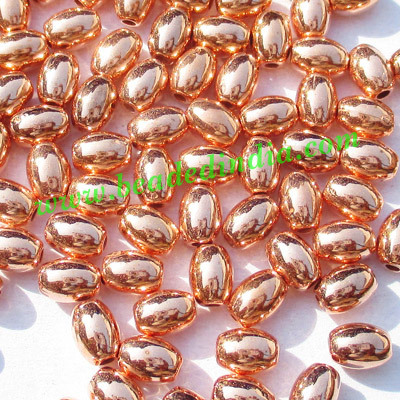 High quality metallic plated acrylic beads, copper coated plastic beads, size 3x5mm. Uniform shape and size of each beads, pack of 500 grams, approx 2273 pcs. in 500 grams. Sterling Silver .925 Spacers, size: 2x5mm, weight: 0.3 grams. Leather Cords 6.0mm (six mm) round, metallic color - copper. Leather Cords 5.0mm flat, regular color - beige.